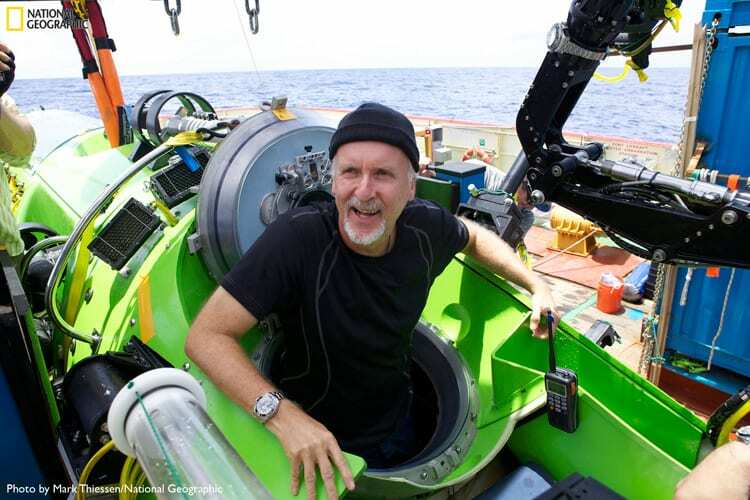 Explorer and filmmaker James Cameron and Woods Hole Oceanographic Institution (WHOI) have formed a partnership to stimulate advances in ocean science and technology and build on the historic breakthroughs of the 2012 Cameron-led DEEPSEA CHALLENGE expedition exploring deep-ocean trenches. The announcement comes on the one-year anniversary of Cameron’s unprecedented solo dive to 35,787 feet, almost 11,000 meters, to the deepest place on Earth—the Challenger Deep in the Mariana Trench—in the vertically-deployed vehicle he and his team engineered, the DEEPSEA CHALLENGER submersible system and science platform. Cameron will transfer the DEEPSEA CHALLENGER to Woods Hole, where WHOI scientists and engineers will work with Cameron and his team to incorporate the sub’s numerous engineering advancements into future research platforms and deep-sea expeditions. This partnership harnesses the power of public and private investment in supporting deep-ocean science. The DEEPSEA CHALLENGER system demonstrated the effectiveness of a human-piloted vehicle as a science platform for investigating the deepest part of the ocean. Due to the extreme pressures of these deep-sea environments and the technical challenges involved in reaching them, ocean trenches are among the least explored environments on the planet. The DEEPSEA CHALLENGER system incorporated innovative solutions to some of the challenges of accessing the oceans depths. Among several of the significant innovations are approaches to flotation, energy storage, camera and lighting systems that enabled Cameron to gather data, samples, and imagery in order to maximize science value from the expedition. WHOI envisions a range of uses for the DEEPSEA CHALLENGER system that will bring value to research programs in ocean trenches. For example, WHOI scientists plan to use the DEEPSEA CHALLENGER’s cameras and lighting systems on the Hybrid Remotely Operated Vehicle Nereus, which dove to the Mariana Trench in 2009 and will return to trenches in the Atlantic and the Pacific during the next two years. These systems enabled Cameron to capture high-resolution 3D images of geological processes and species in the Challenger Deep during 13 piloted dives and 19 lander deployments. The full spectrum of applications for these new technologies has yet to be determined – it will take scientists and engineers some months to fully document the system’s component technologies after the sub’s scheduled arrival in Woods Hole early this summer. Recognizing the power of new technologies, like those embodied in the DEEPSEA CHALLENGER system, to explore and understand the ocean, WHOI recently launched the Center for Marine Robotics (CMR), a novel collaborative model that enhances the development of robotic technologies by bringing together partners from academia, the federal government, and the private sector. The CMR’s scientists and engineers will revolutionize the way people and machines work together in the marine environment and enable new approaches to complex scientific challenges. 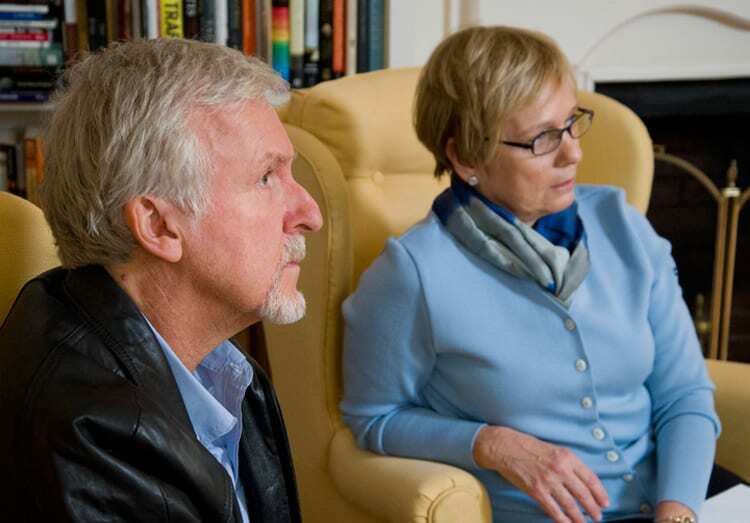 Jim Cameron will serve on the Center’s Advisory Board. systems Cameron and engineering partner, Vince Pace, developed in 1999 and that form the basis of their 3D technologies and services company, the CAMERON | PACE Group. Cameron is an Explorer-in-Residence at National Geographic and a member of the Deep Submersible Pilots Association. He has contributed to a number of robotic space exploration projects and, for three years, served on the NASA Advisory Council. Cameron is the founder of the Avatar Alliance Foundation, a non-profit aimed at addressing climate change, the destruction of the natural world and the loss of indigenous land and culture. 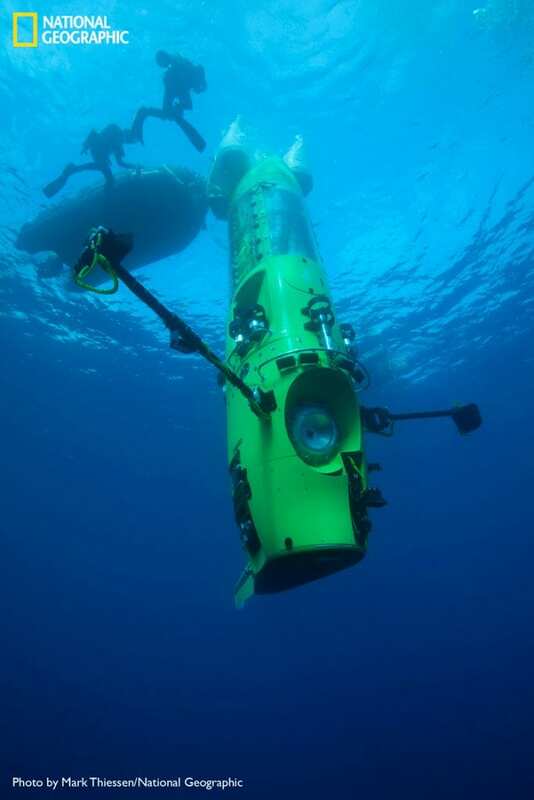 DEEPSEA CHALLENGE is a joint scientific expedition by James Cameron, the National Geographic Society, and Rolex. Learn more at deepseachallenge.com. The Woods Hole Oceanographic Institution is a private, non-profit organization on Cape Cod, Mass., dedicated to marine research, engineering, and higher education. WHOI operates the National Deep Submergence Facility, which operates deep sea exploration vehicles for the benefit of the entire US oceanographic community and includes the human occupied vehicle Alvin, the remotely operated vehicle Jason and the autonomous vehicle Sentry. Established in 1930 on a recommendation from the National Academy of Sciences, its primary mission is to understand the oceans and their interaction with the Earth as a whole, and to communicate a basic understanding of the oceans’ role in the changing global environment. For more information, please visit www.whoi.edu.